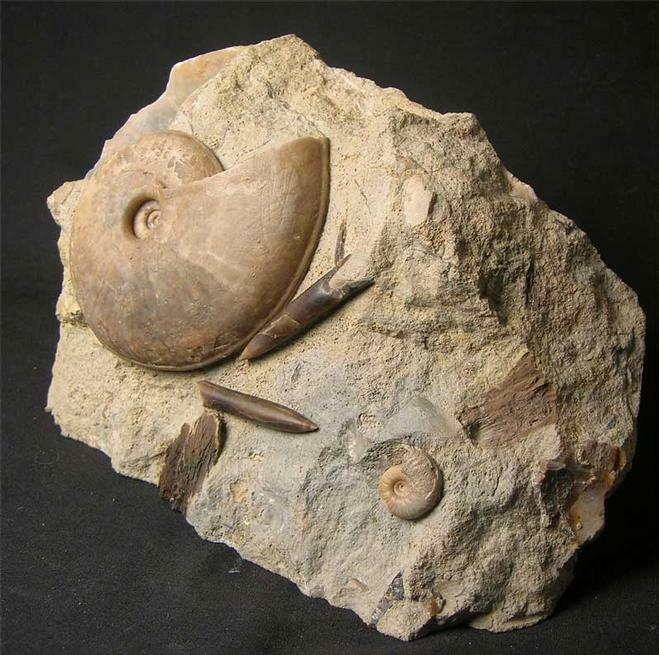 A fantastic multi-assemblage fossil displaying two ammonites, two Belemnite Rostrums and a fragment of fossilised wood. 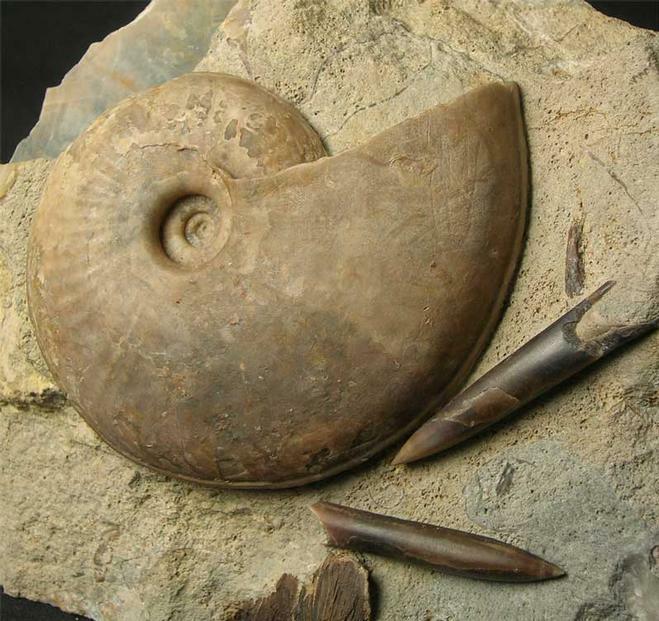 The main ammonite is solid calcite and has an immaculate centre. 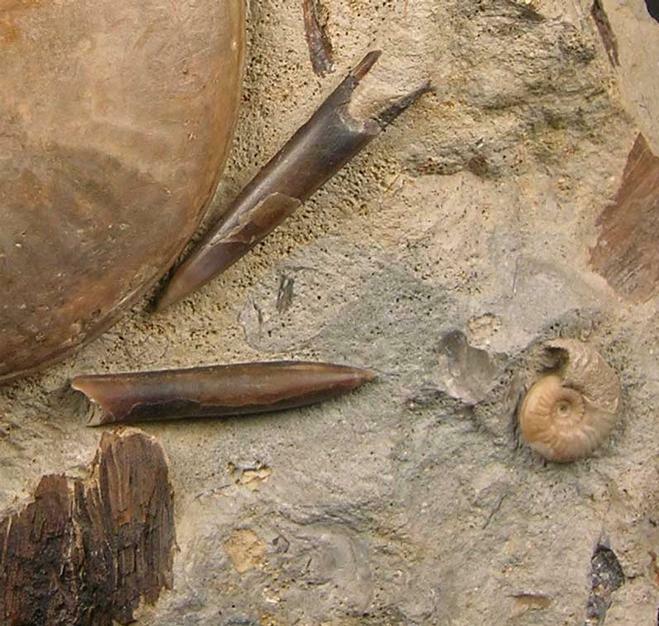 The Belemnites are also calcified as is the smaller ammonite and the fragment of wood has very good detail. 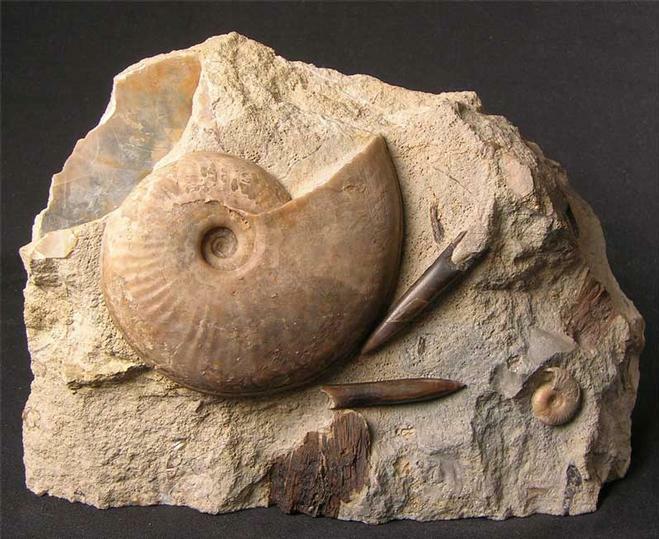 Multi-fossil assemblages of this high quality are highly sought after worldwide. The matrix has a level base for ease of display. Approximately 168 milion years old. Prepared by Andy Cowap.